All Catholic schools in the Evansville Diocese strive to meet the needs of each learner within the scope of its mission and philosophy. Our schools use a model of inclusion for students with special learning needs. Most schools have a special education teacher or learning resource teacher on staff who works closely with teachers and parents to help identify strategies, modifications and/or accommodations that can help students achieve success. Whenever possible, students with special needs will be included in school programs if reasonable accommodations can be made to meet the individual needs of students with disabilities. Local public schools may be helpful in providing needed resources to our students. Once a student is identified as potentially in need of specialized services, a referral is made by the principal to the Local Educational Agency (LEA) so that the student is evaluated. This evaluation is to follow standards established by the state and federal guidelines. A student service plan will be developed for the student with assistance and support from persons representing the LEA. St. John the Baptist is a Preschool through 8th grade school with the Diocese of Evansville currently using the Enrichment Program. Three schools within the Diocese of Evansville offer the SEEDS program which provides individualized and small group instruction to students based upon a student’s strength’s, abilities, current successes, and potential for the future. 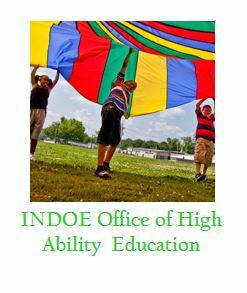 Instructors give special attention to each individual SEEDS student at his or her current level of ability. SEEDS students are offered individually appropriate and challenging curricula with opportunities for success, complementing reasonable academic expectations. The Evansville Diocese is blessed to be in partnership with Marian Educational Outreach. MEO is a ministry of the Catholic Diocese of Evansville committed to providing opportunities for students with unique learning needs to reach their highest potential while remaining in the Catholic school system. 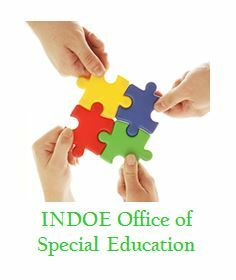 MEO strives to provide on-site funding to all of the 28 schools in the Evansville Diocese for special education initiatives to better serve an increasing diverse population of students.